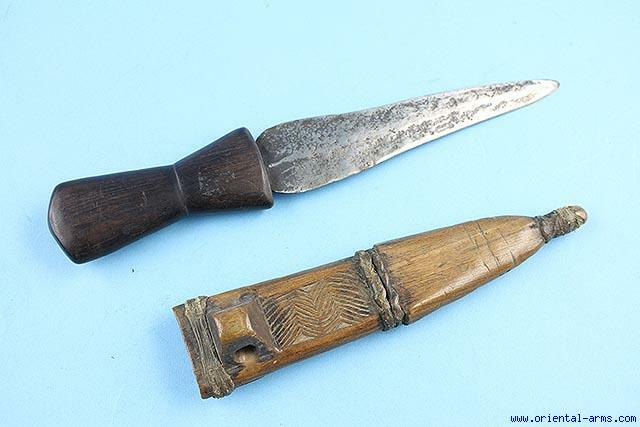 From central Kongo where the Luba people resides comes this small dagger. 6 1/2 inches steel blade, hardwood grip and original carved wood scabbard. Total length 12 inches. Very good condition. A complete authentic ethnographic item.